NJ Gov. Chris Christie has yet to respond to a letter from fellow Governor Chris Gregoire (D-WA) offering the New Jersey governor advise on the issue of marriage equality. 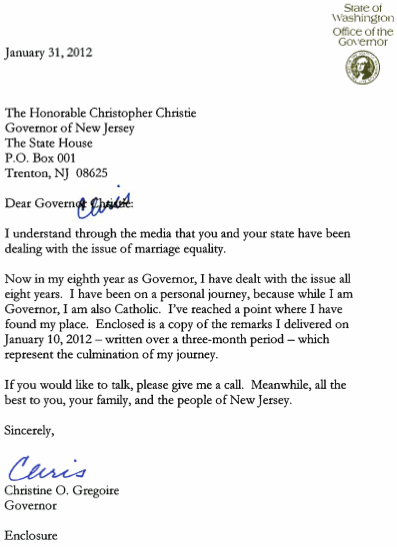 The correspondence also contained a copy of Gregoire’s remarks upon announcing her support for marriage equality. Gregoire has received “no response to date,” her office confirms.